Installation of Rev. Fr. 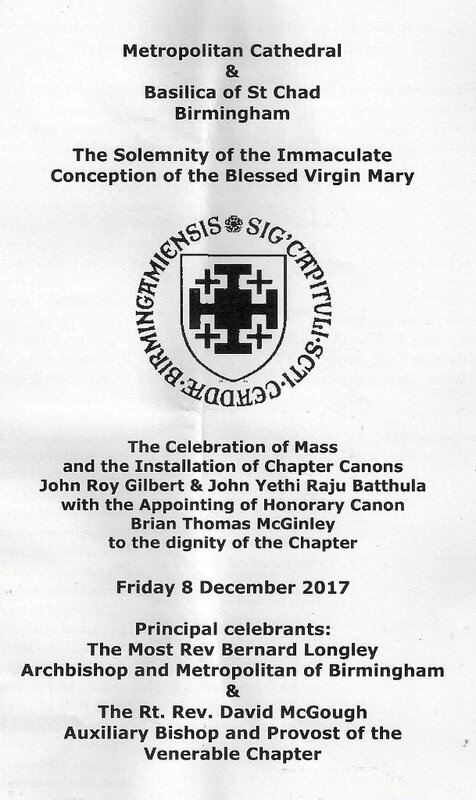 John Batthula as a Chapter Canon of the Cathedral of St. Chad, Birmingham.